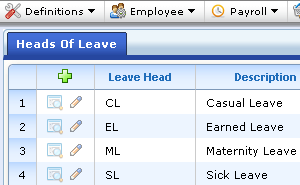 Create as many heads of leave as required by your organization’s leave policy. 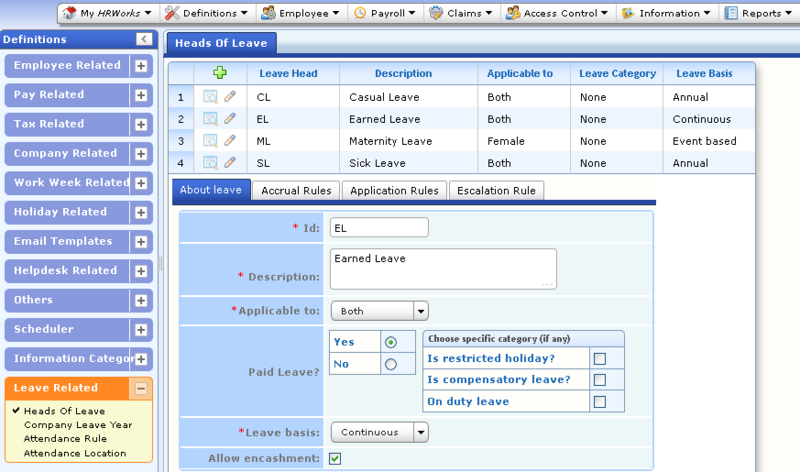 Each head of leave can be defined by a variety of attributes pertaining to accrual, request/approval workflows and escalation rules. 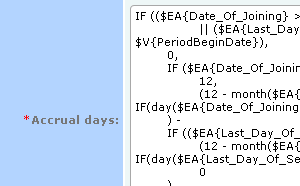 Our business rule engine facilitates automated leave balance accrual — whether on the basis of time (say, at the beginning of a calendar year), worked days or any other factor. 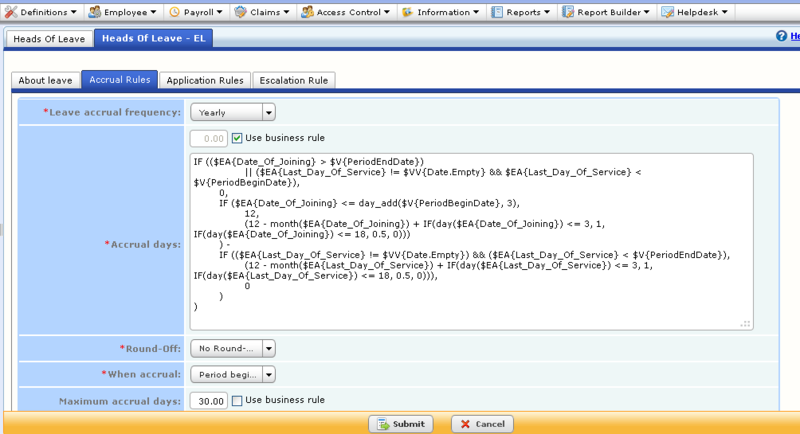 HRWorks also allows users to manually overwrite leave balances. 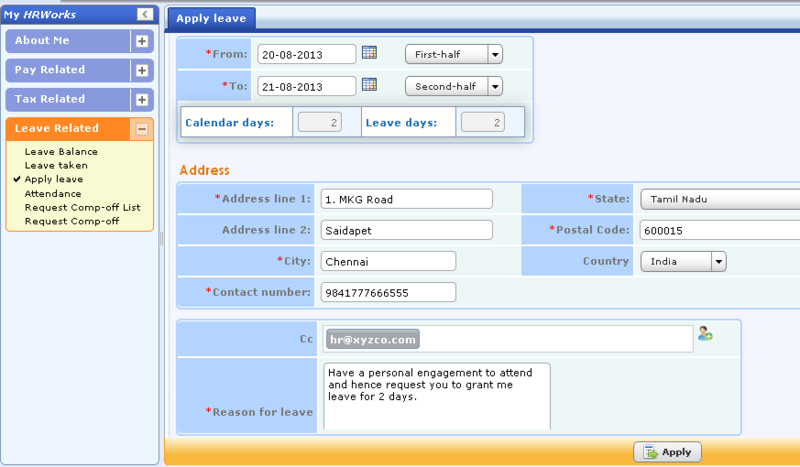 Employees can submit leave application and their managers can approve/reject leave applications online. 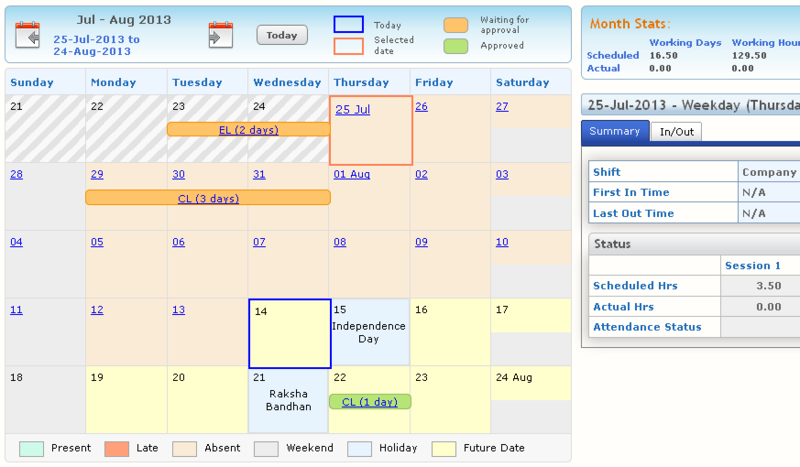 Managers get instant visibility into the work calendar of their subordinates. 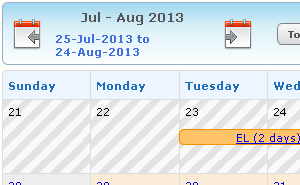 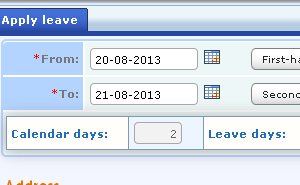 Managers can approve and reject leave applications using leave calendar.